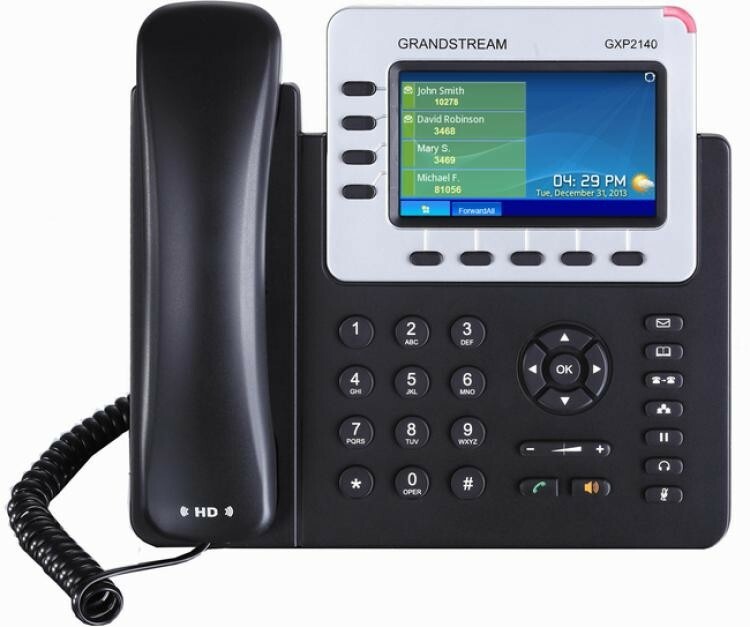 The Grandstream GXP2140 is a versatile Enterprise IP Phone that brings a rich and vibrant display and call control to the medium to high volume call user. 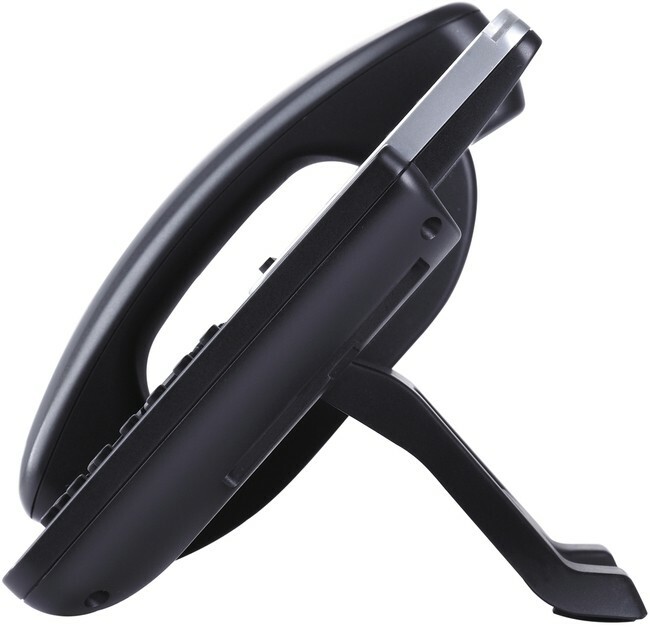 Providing the perfect balance for the call-intensive users desktop with its 4 lines, 5 programmable soft keys and feature loaded controls. 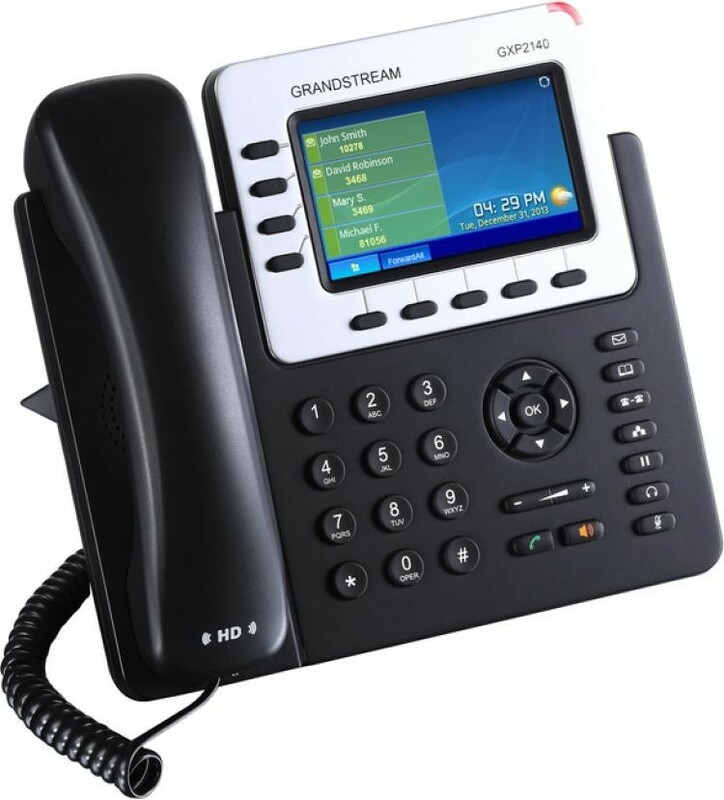 Its 4.3 Inch Colour Display creates a high quality user experience, and its dual Gigabit Poe Ports, HD Audio and Integrated Bluetooth makes the GXP2140 highly versatile. 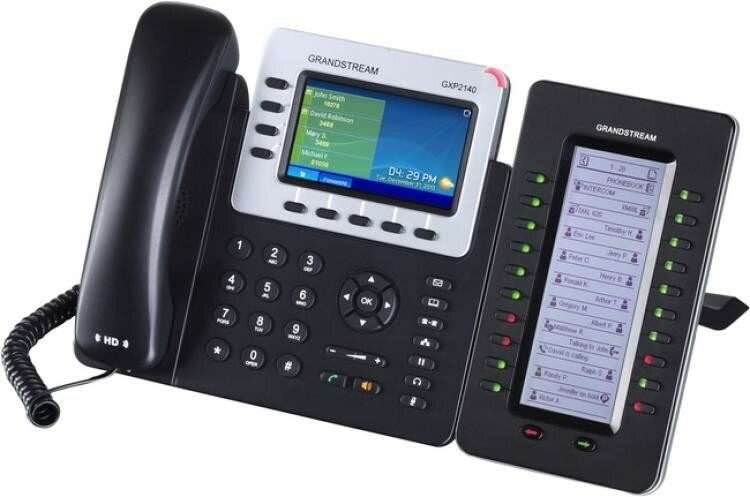 The phone also comes preloaded with weather and currency exchange apps and up to four GXP2200 Extension Modules can be added making an additional 160 lines.